There was only one cannoli left. One creamy, ricotta filled, chocolate wrapped, deep-friend piece of love. Everyone else had eaten theirs during the Superbowl. I saved mine. And brought it out for my own personal dessert the next evening. Piper sidled up to me immediately. There was chocolate involved and no body likes the cocoa like the Piper. “Can I have some?” she asked. “Of course you can,” I said, swallowing a small sigh. I got another fork. “Wait. What’s in it?” Piper pointed her finger at the gooey ricotta spilling out of the shell. I seized my opportunity. If I could turn her off my treat, I could save even more for me. “It’s cheese, honey. I know you’re not a fan of cheese.” Hint, hint. Nudge. My partner called me out immediately. “Nice, Melissa. 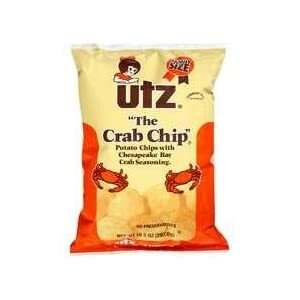 Nice.” We’d recently had a battle over my hiding of the bag of Utz Crab chips. Don’t judge me. Have you tasted those things? Crunchy, seasoned crack, I tell you. “What?” I countered. “Piper doesn’t like cheese. It’s a cheesy treat.” True. Ricotta is a type of cheese. A perfectly sweet delicious type of cheese but a cheese nonetheless. “No thanks,” Piper said. “Can I have one of the candy nuts?” My heart pounded a bit harder. Surely, she wasn’t talking about my Trader Joe’s 73% Dark Belgian Chocolate Covered Almonds. “You mean the filberts?” I asked. Now I know that a filbert technically only refers to the hazelnut but Piper doesn’t. “I don’t want a filwhatever.” Then Piper crawled in my lap to watch me eat. I smiled and enjoyed every bite. I may be evil but my belly is happy. And my kids don’t have cavities. They’ll thank me later. This entry was posted in Gratitude and tagged cannoli, chocolate covered almonds, piperism, utz crab chips by melissa.scholes.young. Bookmark the permalink. hahahaha. I had a rare but coveted last glass of ginger ale the other day. I didn’t share. I hid, in the corner of my kitchen, and beer pong styled that glass of deliciousness. Yes! The coveting improves the taste, doesn’t? Yes! been there done that. It’s essential for our survival. I’m so glad you said that! I couldn’t agree more.